I confess…I once wasted horchata. I spilled 16 glorious ounces of the white creamy beverage on the passenger seat of my late 80s Subaru XT. The lid wasn’t on quite tight enough and I didn’t taste even one sip before it was lost; my upholstery soaked up every drop. It’s really a shame, considering it takes a little elbow grease to whip up a batch of this luscious, milky non-dairy milk. Rice, almonds, coconut and cinnamon. Just the essentials. Prep/Total Time estimate doesn't include overnight soak. Makes 1 quart. Heat 3 cups of the water to almost boiling. 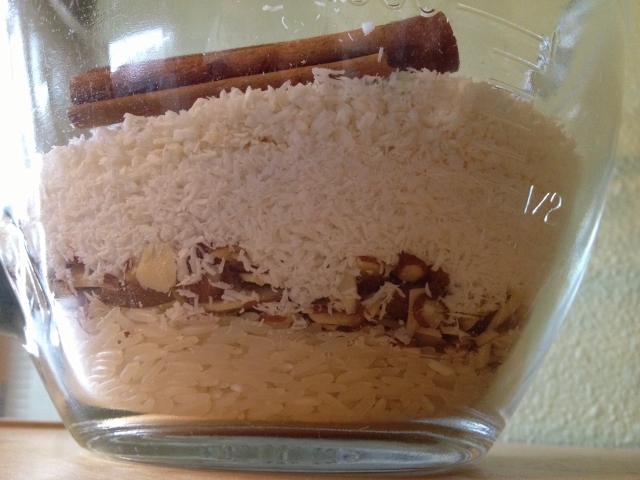 Mix coconut, almonds, rice and cinnamon sticks in a large bowl (I use a 2-quart glass measuring cup). Pour hot water over the mixture, stir and let cool for about an hour. Cover and refrigerate overnight. Add the mixture to a blender, cinnamon sticks and all, and blend for 1 minute. 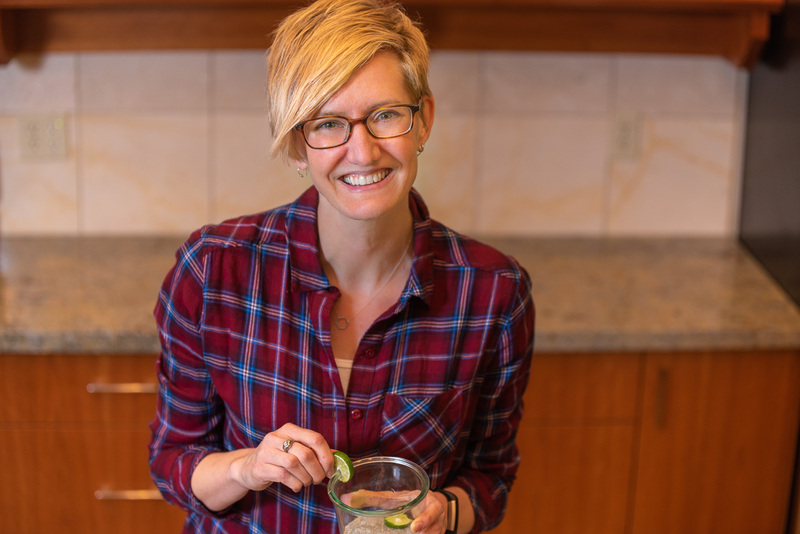 You may have to intermittently stop the blender and stir things up a bit with a spoon to be sure everything is coming into contact with the blades. Add honey and 1 cup of water and blend for another 30 seconds. Strain half the mixture into a bowl or pitcher by pressing with the back of a spoon through a fine mesh strainer or by using a nut milk bag or cheesecloth. If you can find a good use for the leftover ground nuts and rice, hold on to it...otherwise, discard. Repeat with the last half of the mixture. 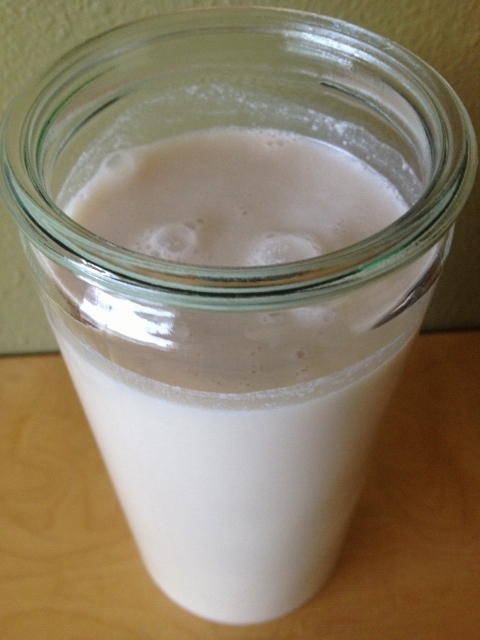 Stir in your remaining 1 cup of water to finish your horchata. Delicious over ice or straight up. Adapted from Food 52's Horchata recipe and inspired by Suja's Vanilla Cloud. I should probably tell you that I burned out the motor of my 19-year-old blender while testing this recipe. I’m not sure if that’s because the cinnamon sticks were too much for a standard blender to bear or because it had just naturally reached the end of its useful life. But, because of the soaking and the waiting and the anticipating, I felt compelled to find a way to finish the process. I ended up running to Bed, Bath and Beyond at 8:45 pm to buy a (high-power) replacement blender so not a single drop of my horchata would be wasted. 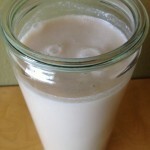 Do you have any fun or horrifying horchata stories to share? Or a good idea for using the leftover ground almonds, rice and coconut?